Palate: Enjoy ripe summer fruits, with hints of liquorice. Balanced, multi-layered, yet elegant and harmonious. Delightfully silky in the mouth. 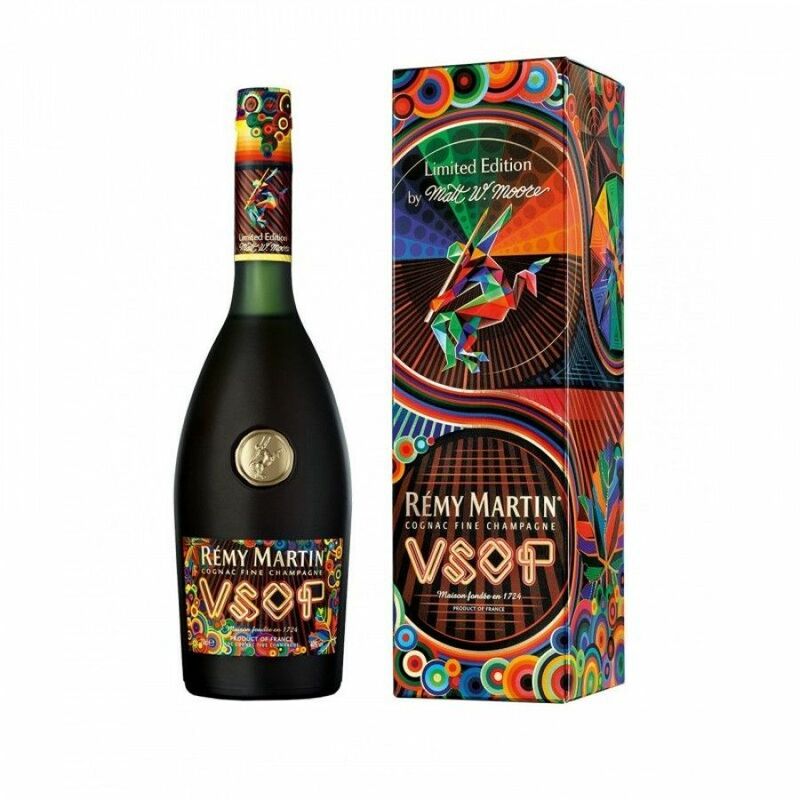 The Remy Martin VSOP Matt W. Moore Limited Edition Cognac is a collaboration between the Cognac giant and American digital artist, Matt W. Moore. Known for short as simply, MWM, Moore became world famous for his unique digital-abstract style, Vectorfunk. The collaboration between the Cognac house and the artist has created a brand new 'graphical language for the Remy Martin VSOP universe'. The label and packaging blend bright colors with the elements of Cognac, and of course, the famous Remy Martin Centaur. It's this that is the limited edition, and the Cognac within the bottle is the regular VSOP that's timeless and enjoyed by millions around the globe. It's certainly a showcase piece, and has been produced in a limited edition. Sure to be one that the collectors' will be keen to add to their haul.